It has a long history in the Pacific Northwest, being introduced by the Gill Brothers seed company of Portland, OR nearly 100 years ago. When a plant variety is grown in a certain region for a length of time, it will adapt to the local ecosystem and be more productive than seeds from a national producer. It is also called "Oregon Sweet Meat". It was introduced in the collection of the Vavilov Institute in Russia in 1960. 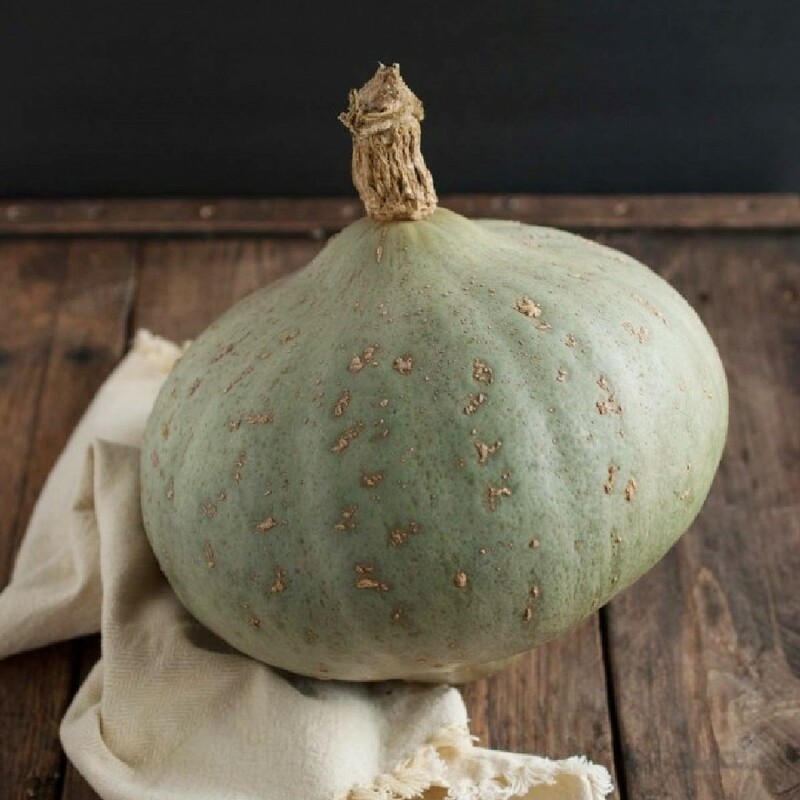 Sweet Meat is an heirloom, hubbard type squash. 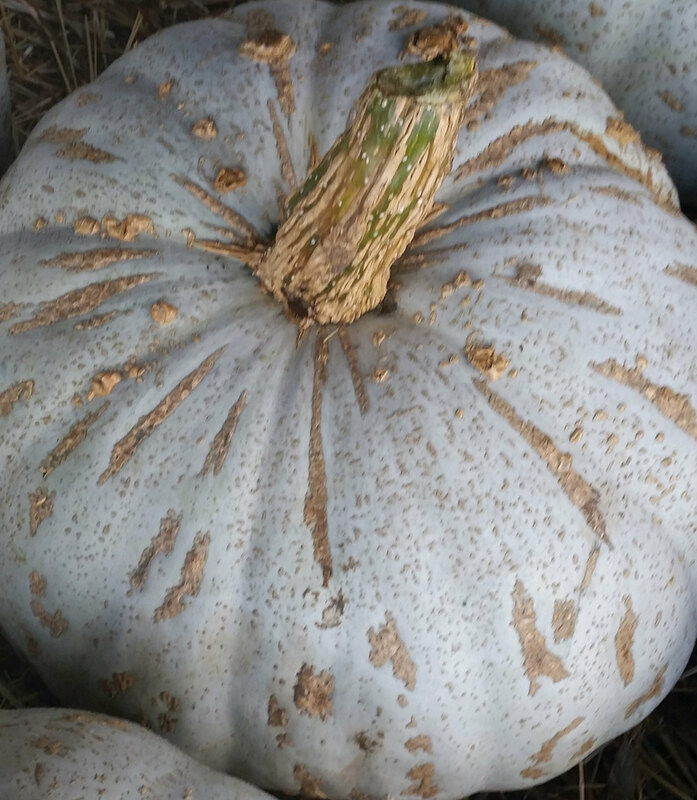 It has slate blue/grey skin, with thick, yellow/gold flesh, that is sweet and dry. Flesh is finely textured. 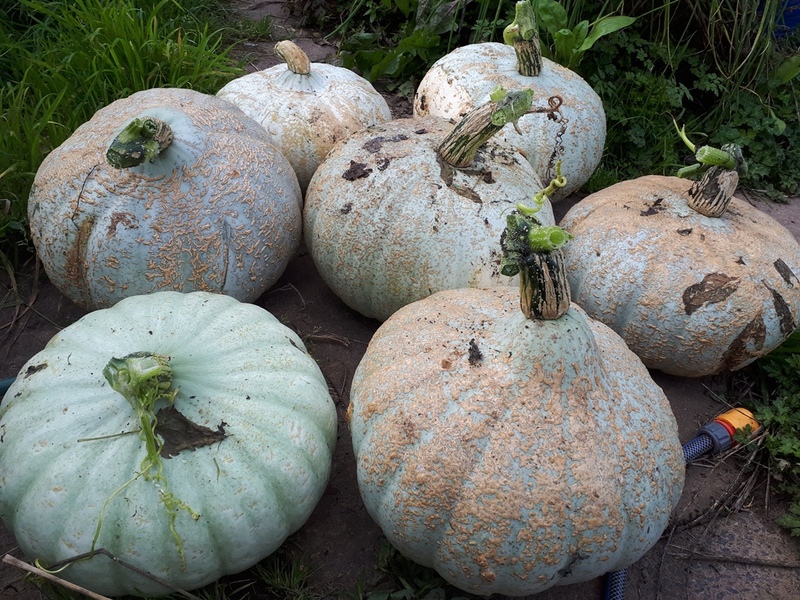 It is excellent for pies and soups, but is also very good in any winter squash recipe or just plain eating. These store very well and can even improve with storage. They can be pretty big, ranging from 7 to 15 pounds. Produces fruits that are large and flattened in shape. Very long plants, up to 8 meters long, producing rounded fruits and a little flattened from 5 to 7 kg. The thick epidermis is gray-green in color. The flesh of orange color is very soft. It has a high beta-carotene content. The fruits are particularly well preserved (until the following spring!). Growth: 95 to 105 days. This old variety is native to the USA.